Zulily Sale on Personalized & on Diamond Sterling Silver Jewelry - Up to 80% off! Not a member yet? Register on Zulily.com to browse all the deals! There are two great sales on sterling silver jewelry happening right now that you must checkout on Zulily.com! 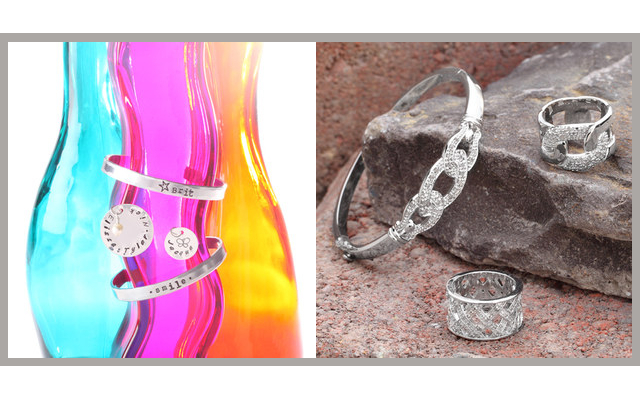 You will be saving up to 80% off in the Take a Shine: Silver & Diamonds sale and up to 50% off in the Luxe Personalized Jewelry sale on personalized sterling silver and aluminum jewelry. I have my eye on the Diamond & Sterling Silver Owl Pendant Necklace! It's priced at $19.99 (Retail $100). On Friday through Sunday, you pay shipping on your first order only for the whole weekend. During the other days of the week, you pay shipping only once per calendar day. Not all Zulily deals can be seen on the front page. Use the Search Box to find active deals that are no longer being featured on the front page. The reduced-price name brand and designer items on Zulily.com are only available in limited quantities, so do not wait too long to take advantage of this discounted price. Stop by daily to shop for fashion deals for women, men, kids, and babies plus home furnishings deals.